Stencil patterns are widely used in scientific simulations and image processing. 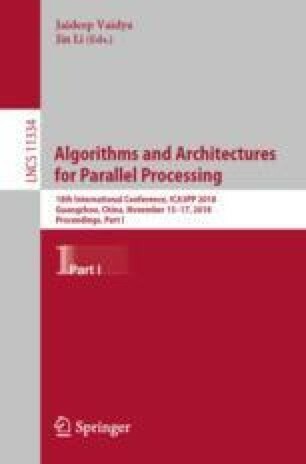 To parallelize these problems, we have to divide data into chunks that are processed by different processors. One challenge with this approach is the update of ghost cells, which are the neighbor values that calculated on remote processes. This paper focus on the update communication. We provide an abstract array types to describe distribution patterns, such as ghost cells, from global and intuitive view. Based on this description, a general copyto function is provided to perform communication automatically. Furthermore, our work makes it possible to design a distribution-independent algorithm. This results in better productivity on tuning performance. Supported by National Key R&D Program of China under Grants No. 2016YFB0200502; and National Natural Science Foundation of China Grants No. 61672208, 61432018.